The play2win staff devotes part of its efforts to creating and providing its gaming community with responsible gaming standards and measures. Our objective is that you, as a member of our casino community, should have a blast and the best gambling experience possible online. Therefore, we have committed to put a stop to compulsive gambling and prevent minors’ access to any type of gambling services. We strive to engage our members in responsible online gambling, that is to say, reckoning when to wager, how much to bet and how much time they can spend online. A number of prevention measures have been taken by the play2win staff to stop minors from unlawful gambling. As a parent, there are also a certain measures you can take to restrict the sites your children can access. Use the internet filters available to prevent your children from opening an account at a gambling site. Your account(s) will be instantly blocked and you won’t be able to open other new accounts. Moreover, the play2win staff will make sure you won’t get any type of promotions or bonuses during these cooling-off periods. If you have decided to undergo a self-exclusion period, your request will activate an account block-out, which will be permanent. You can call the Customer Support Staff to re-activate your member’s account when the mentioned period has finally ended. You can ask for a self-exclusion period by contacting our Customer Service Team. 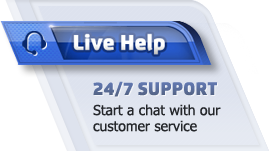 You can contact them on the phone, by email or live chat 24/7. You can also request any of the above mentioned periods in the cashier section.